The holiday season is upon us which means countless parties, office potlucks, and seasonal outings. Skip the fruitcake this year and show up with any of these candy recipes, which will have everyone impressed. 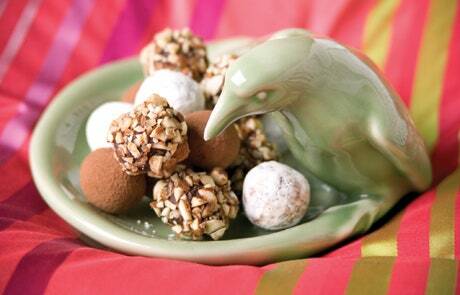 We’ve rounded up candy recipes from our favorite chefs and websites. Peppermint Bark – Who can resist velvety chocolate — bittersweet, milk, or white — topped with nuts, candy, or dried fruit? Chocolate-Caramel Pecan Clusters – Sweet, chewy and crunchy, all at the same time — these bite-size treats go perfectly with a cup of coffee after a meal. English Chocolate Crisps – This simple crispy chocolate treat puts smiles on everyone’s faces. Cinnamon-Chocolate Fudge – This twist on an old favorite is guaranteed to be a crowd pleaser. Old Fashioned Buttercrunch – Always among the most popular confections, buttercrunch successfully combines chocolate, nuts and sugar in an enticing manner. 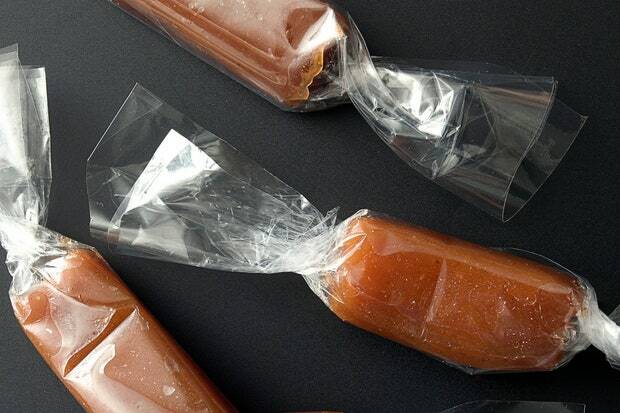 Caramel-Apple Caramels – Caramel and apples are a classic flavor pairing for a reason. 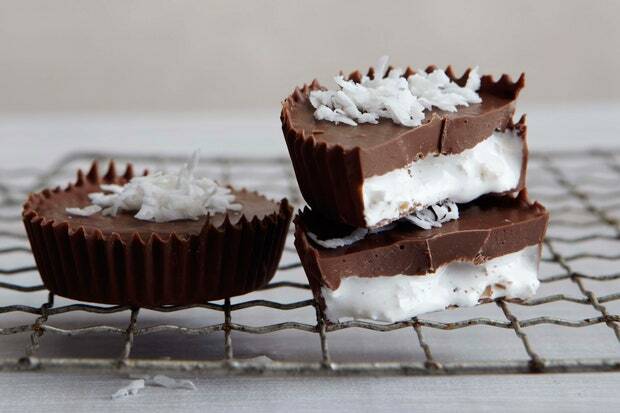 Milk Chocolate Cup-of-Fluff – The real delight of this sweet, sweet pairing of fluffy nougat and shredded coconut is what professional taste-testers call mouthfeel. The airy nougat softens, the coconut and almonds crunch, and the hefty milk chocolate shell melts and coats your palate with feel-good chocolate. 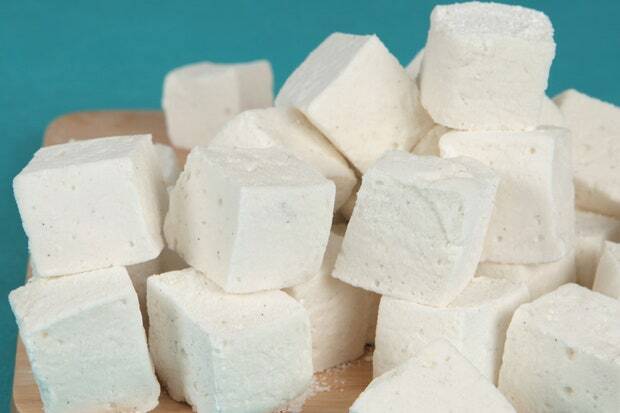 Bourbon-Vanilla Marshmallows – These vanilla bean–speckled marshmallows have a pronounced vanilla flavor with an adults-only hint of bourbon. Chocolate Truffles – People think of truffles as such a luxurious item, yet they couldn’t be easier to make. 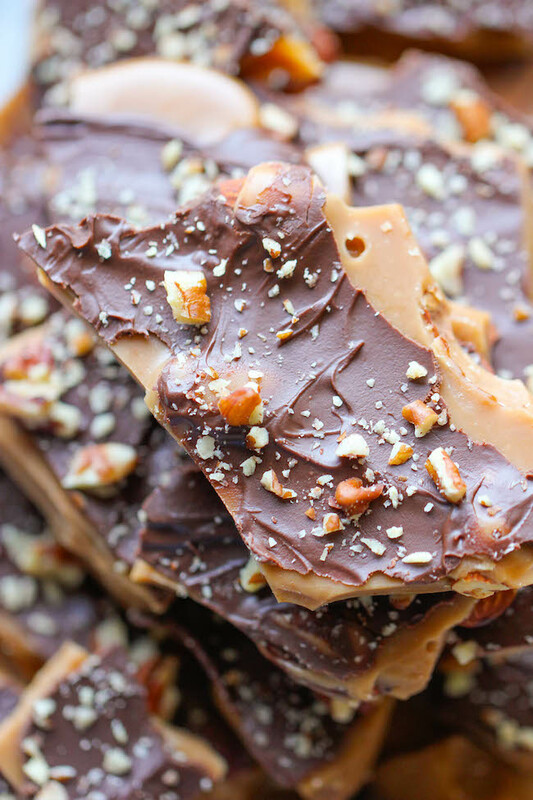 Easy Homemade Toffee – An unbelievably easy, no-fuss, homemade toffee recipe.